Settlers to Humboldt County brought their own crops with them to the area, searching for the ‘golden crop’- one that would grow exceptionally well and could be sold for a good profit. That first crop happened to be potatoes. In 1874/1875, farmers raised and exported almost 50 million pounds of potatoes, making the crop a defining part of early Humboldt industry. However, it was not meant to last. The year following the 50 million pounds crop, production dropped by a third as as blight hit Humboldt County. 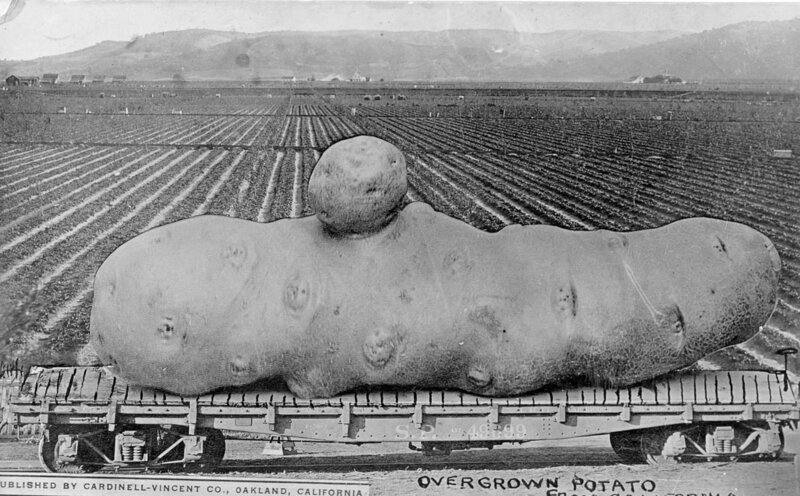 That same year, potatoes from Sacramento flooded the San Francisco market and out-competed Humboldt potatoes due to the shorter shipping distance, reducing Humboldt’s potato exports by over 90% from two years prior. Farmers began to diversify into products like oats and beets in the 1880s. There was a point in time when there was a potential for high beet production to attract outside investment to establish a beet sugar processing plant, the beets produced in Humboldt County did not produce enough sugar to make the plan viable and the beet market boomed and busted, ending the dream of a beet sugar processing plant. Oats were also raised, and tended to fare better than other products like wheat, which didn’t do well in the foggy conditions. As part of a common trend across the west, cattle and pigs were staples in livestock production, as they could be used locally and shipped to other parts of the state. 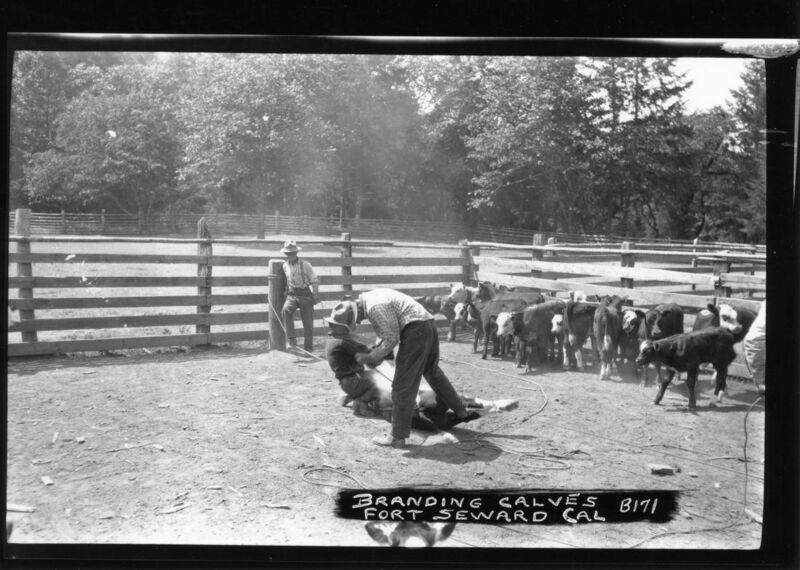 The cattle were released into the countryside to graze until ready for market, and each animal was branded with a brand unique to the rancher who owned the livestock. These brands were registered to reduce the likelihood of conflict between ranchers whose cattle may have gotten mixed up with another herd or stolen. Like the miners, farmers, and commercial interests, ranchers were looking for their ‘gold mine’. In the late 1860s and 1870s, they had found it: wool from sheep. 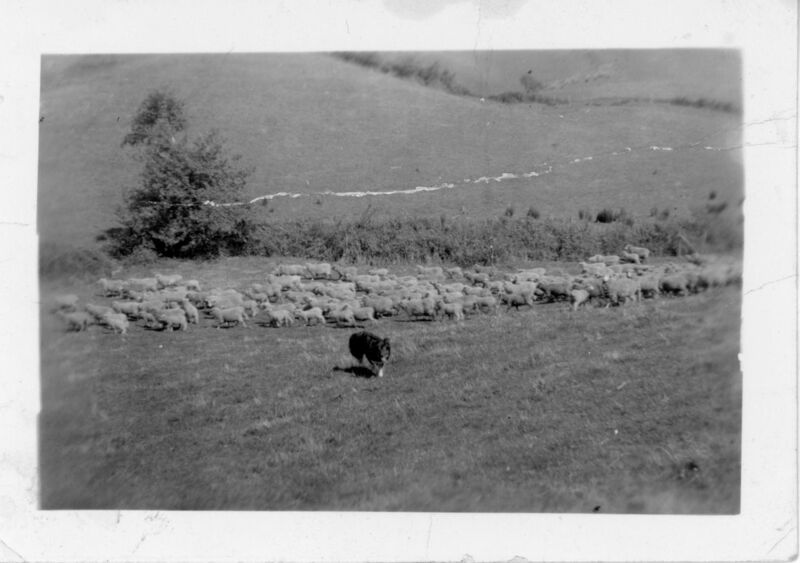 The sheep fared incredibly well on the local landscapes and could be sheared yearly without depleting the herd. Wool was lightweight in comparison to products like potatoes, meaning that shipping and transportation would be less expensive. Cool temperatures led to richer wool production, fetching higher prices at market. While the sheep ranchers were initially faced with opposition from cattlemen as sheep negatively impact cattle pastures, the cattlemen followed the money and many became sheep ranchers themselves. 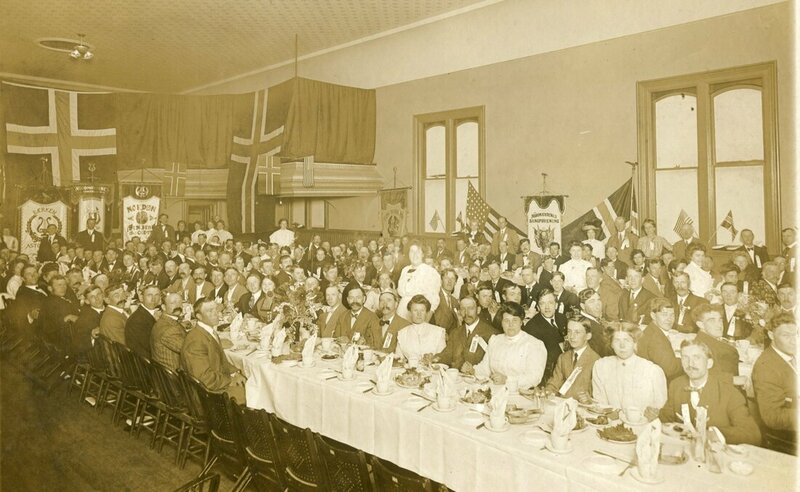 Dairy also picked up in production, however the main dairy product sold was butter as transporting milk from rural Humboldt to market in local towns or to San Francisco was impossible. Butter served to replace potatoes as a main export and unlike potatoes, is still a major export today.